It certainly isn’t news that collecting Star Wars toys is not only an enjoyable hobby, but also an expensive one. George Lucas must have foreseen this when he brokered a deal to keep the licensing and merchandising rights for himself. Earlier this month, the Star Wars faithful lined up at Targets and Wal-Marts across the galaxy to purchase action figures of characters from a movie that won’t be released for another three months. While plenty of fans are picking up these toys for their children, to make Super 8 movies with, or simply to display, some folks are hoping that by buying early and often, they’ll end up with a rare toy that will provide some serious return on investment. Blastr ran a list of the most valuable Star Wars toys out there to coincide with September 4th’s Force Friday event. The usual suspects are present; the Boba Fett mail-away figure (a toy that kids clamored for even before Empire Strikes Back was released in 1980) with rocket-firing action—perfect for shooting your eye out—as well the Jawa with the vinyl cape that was eventually replaced with a cloth one. The more interesting entries on the list include Yak Face, the final figure produced before the 1985 cancellation of Kenner’s Star Wars line (early proof that every Star Wars character would get a toy, no matter how inconsequential) and the FX-7 Medical Droid, which an M.O.C (mint on card) version from Palitoy inexplicably sold for a record breaking $12,000 in February of 2014. The strangest toy on the list has to be Vlix. A villain on the short-lived cartoon series, Droids, Vlix was never released outside of Brazil. 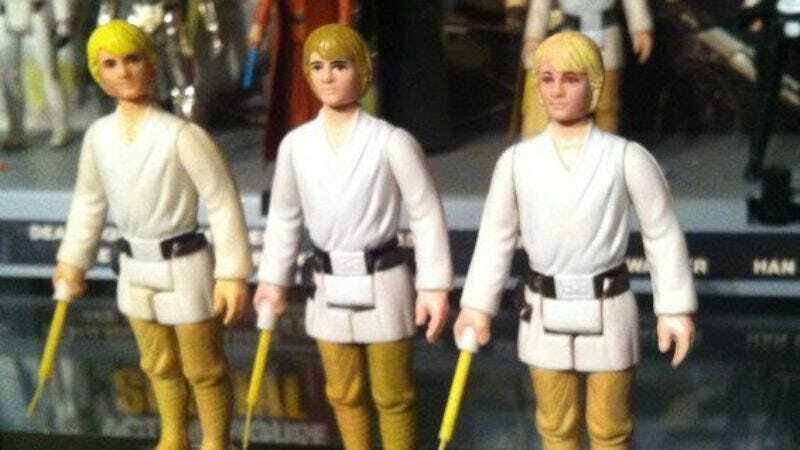 Intended to be part of the second wave of toys from the show, the line was canceled and only the Brazilian Kenner distributor got the action figure on shelves. Despite never appearing in any of the films, Vlix is a rare find and can fetch quite a bit of money on the collectors’ market. Vlix was christened with the last name Oncard by Star Wars collectors as a nod to his scarceness.